I've been wanting to do a blog post about favorite inventions for a while now. Here are some of mine. They aren't in any particular order, just the way I thought about them. The inside of my dishwasher where I found Swiper the fox one day. I have known life with a dishwasher and life without a dishwasher. I have also known life with a portable dishwasher that hooks up to your sink because that was my only option when I realized I could not handle life without a dishwasher. I don't necessarily hate washing the dishes. I just need the dishwasher to hide the dirty dishes so that they aren't in the sink and I don't have to constantly see them and think about them. But do you know how much TIME the dishwasher frees from your day? It's priceless. Seriously, is this thing magic? 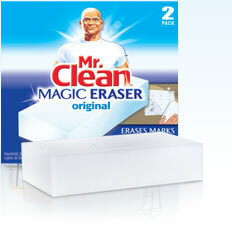 I don't believe in magic, but I do believe that the Magic Eraser is magic. Have you seen it take crayon off...everything? Dirty little finger prints off...everything? The nurse explaining the epidural to me using the student nurse. Just give it to me, okay? Sorry all you natural birthers out there. I salute you, but I could never be you. With Amelia, I went as far as I possibly could without an epidural. My wise friend Kelli shared a tip with me. Pick a Bible verse for labor. Memorize the verse and say it with every contraction. When you can't remember the verse anymore, it's time for the epidural. Most of my dilating occurred while taking a nap. I was never mean. I pushed for like 10 minutes. It was lovely. If the "Ring of Fire" happened, I was blissfully unaware of such thing. I should be a spokesperson for Press and Seal. Really, I should. My relationship with plastic wrap is extremely volatile. I fight to get it off the roll. I fight to get in on the dish. I fight to get it back on the dish. It really isn't good for anything. Press and Seal just sliiiiiides off the roll, stretches onto the dish and stays there. If you spend much time baking cookies and you accidentally drop the plate, Press and Seal will keep your cookies safe. If you are out of clean food containers/plastic bags/whatever you use to hold food, you can make cute little pouches with the Press and Seal. I've told you mine. What are your favorite inventions? 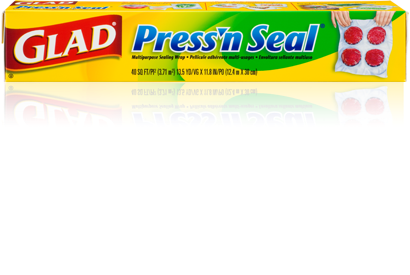 You really should be a spokesperson for Press and Seal. I've heard you proclaim its virtues many times! One of my favorite inventions is the Swiffer Sweeper - no more chasing dust bunnies around with a broom! I wholeheartedly agree about the dishwasher, esp. as ours is "on the fritz at the moment. The only reason I haven't gone completely insane yet is because of my dear husband (and the boys, a little) doing his fair share, and myself being off for the summer. I pray that we can remedy this situation before work/school in the fall, or I don't know what I will do! I've never enjoyed the Magic Eraser that much, although I'm glad it makes you so happy. Maybe I'll have to give it more tries. As for epidurals, I missed my chance on the first one (tried to go natural, pushed for HOURS, then it was too late...), and went too fast on the second one (I account that too just a little too much prayer on behalf of my family). There will not be a third. 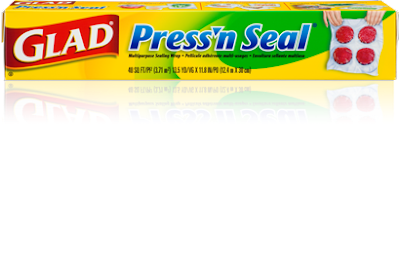 I also agree that Press and Seal is right up there with "swimmy diapers", thin maxi-pads (yes, I actually remember the fat ones; they came just in time! ), and those wrap-cover thingies you guys got to put over your baby car carriers. I was fortunate enough to get the removable baby carrier (that goes from your stroller to your car), but the winter-cover things came just a little too late. My Press and Seal has also saved a rogue plate of cookies which slid off the car seat. Enjoyed your writings. Keep on being creative!